Mohammed Jalal & Sons and Mahindra & Mahindra Ltd. today announced the launch of the all new automatic version of the Plush New XUV500 in Manama. The Vehicle will be available in two variants, namely the W6 FWD and the W8 AWD. The Plush New XUV500 is the only SUV in its class to offer a second generation, 6 speed automatic transmission with AWD as an option. The all new Automatic Transmission has been sourced for the first time from a leading global supplier, AISIN, Japan. The Plush New XUV500, a truly world-class vehicle, bridges the gap between style and adventure, luxury and ruggedness, and performance and economy. It was the most awarded car with 22 awards in its first year after launch, and 29 awards till date from auto experts, aside from numerous other accolades. Elaborating on its association with Mahindra, Mr. Ahmed Jalal, Director, Mohammed Jalal & Sons W.L.L. said, “We are proud of our association with Mahindra. For the customer, the competitively priced XUV500 will be a great value for money purchase. 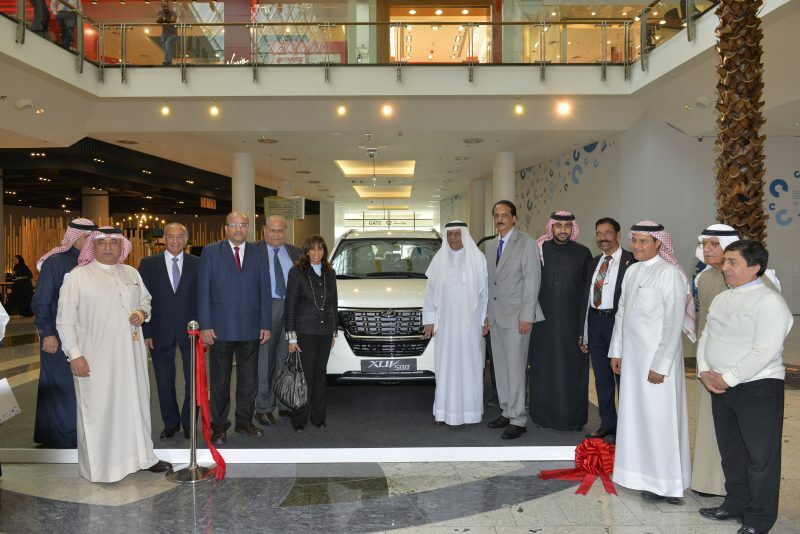 Launching the XUV500 in the Bahraini market is in tune with our objective of offering the customer world-class vehicles and we are confident that it will soon become the preferred choice in the SUV segment in the Bahraini market. The new XUV500 comes with Auto transmission 6 speed, AWD, leather seats, Touch screen, navigation, parking sensors + camera, USB, Bluetooth, Rear A/C, 8 seater with a good leg & head room.